Hello and welcome to Get Kush! 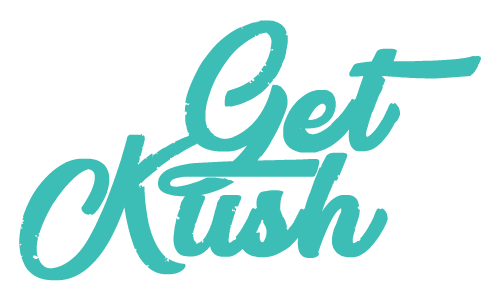 We’re a dispensary with a simple goal: to create the best shopping experience while saving you money on great marijuana. We’re Nancy and Ryan, a sister and brother with a real passion for cannabis. Cannabis makes us happy and we want to share that with our customers! We care about our brand and providing a fun shopping experience! You’ll love shopping for cannabis with us. Feel free to contact us at any time; we welcome your feedback and we look forward to hearing from you! Let me just say this is the first experience I’ve had buying cannabis online. I’ve always been weary of purchasing through online dispensaries. I’ve always gotten my stuff from local dispensaries and before that I had a few weed guys where weed was just weed. So I finally decided to take the plunge after a friend recommended this site. I ordered a their top strain variety pack which included 4 of their premium strains, at 7 grams each. It was on sale for 229 instead of the regular 249. Shipping was free. The order arrived in 2 days! The packaging was top notch! The product came in 4 separate pill bottles which were vac sealed, inside a box, and then inside another plain grey plastic shipping bag. The strains included were Alien OG, Red Congo, Master Bubba and Tom Ford. I don’t think I’ve ever smoked anything like this before. These were on another level! I have nothing but praise for the entire process. Will definitely be back for more!